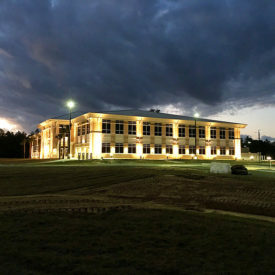 This project was part of a $102.2 million Design/Build construction “Katrina Recapitalization Package” at the Naval Construction Battalion Complex initiated after Hurricane Katrina devastated the Gulf Coast in 2005. 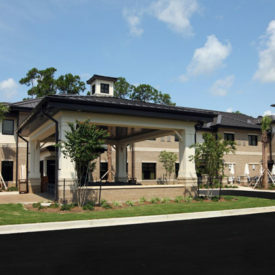 BTA provided design services for three facilities associated with this package which included a new Bachelor Enlisted Quarters, a new Fitness Center and the renovation of Building 365. Bachelor Enlisted Quarters (BEQ): A four-story, 78,500 SF facility that provides (82) 2+2 living modules, for a total capacity of 328 beds. 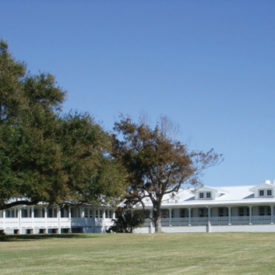 Administrative, classroom/conference, computer lounge and common spaces are included on the ground floor for shared use with an adjacent existing dormitory. Upper floors consist primarily of living modules, with centrally located vertical circulation components and common laundry spaces provided for user convenience. Fitness Center: A single story, 69,500 SF Fitness Center facility with 13,600 SF of outdoor pool related functions, including a 10-lane lap pool with adjoining hydrotherapy area. Indoor athletic program functions supported include a 17,800 SF gymnasium with two NCAA regulation size basketball courts and seating for (400) spectators, two racquetball courts, cardiovascular and weight training fitness areas. Individual structured activity spaces for aerobics, martial arts, multi-purpose and Unit PT functions, training and physical therapy areas are also provided. Support spaces in the facility include laundry, locker, steam and sauna rooms, administrative offices, classroom, conference and storage functions. 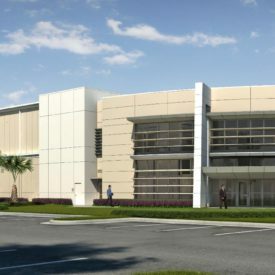 Building 365: Renovation of an existing 27,800 SF facility that provides 14,000 SF of space for related recreational functions (the Single Sailor Center), and 13,800 SF of administrative and warehouse storage space for the adjacent Navy Exchange (NEX) under a single contract. The Single Sailor Center supports group activities, board games, special events, movies, television, video games, internet surfing, and education through the Navy Knowledge Online (NKO) program.